Calling all educators! Learn how to bring the Green Tech Course to your students. New York City Council Member, Joe Borelli, is supporting a full-day of professional development for educators to discover more ways to teach sustainable technology to their students. 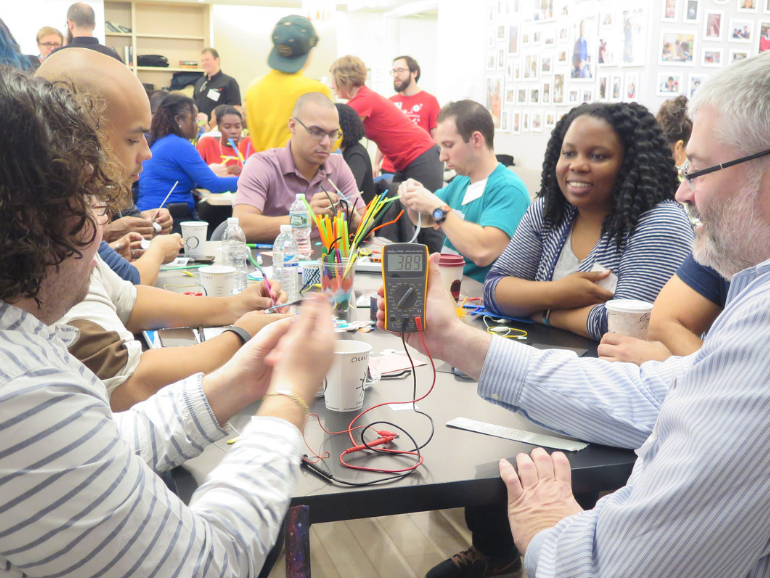 Throughout the day, educators will build electricity generators, make batteries with everyday materials, and better navigate the science behind eco-friendly technology by hacking electric toys with solar panels. Who: Educators from across NYC. Suitable for all grades. What Else: Lunch will be provided.